The key developers behind forthcoming changes to the Firefox browser reveal their plans for how the popular program will change. The difference between online and offline, the web and the desktop will blur in the near future, Mozilla's Mike Schroepfer has said. The vice-president of engineering at the home of the Firefox browser said small changes to the way the web works will have a big impact in the coming years. "Things that are impossible or hard to do now, will be possible or very easy," he said. 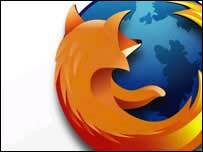 Firefox is the world's second-most popular browser with a 12% market share. "We have got planned road maps for next three to four years at least and that's over the horizon that we can see," said Mr Schroepfer. "The answer to that is 'absolutely no'." One of the biggest changes to the way people use the web will surface in the third release of Firefox. "I have been demonstrating recently support for using web applications offline - the ability to take your web-based e-mail, calendar, RSS feeds and access all the old content even when I don't have net access." With more and more people using web-based applications rather than desktop software their usefulness often stops when access to the net ends. "Perhaps I am on an airplane, wi-fi access is bad. It happens a lot when you travel. "Accessing data at all times is one of the things you can do on the desktop, but you can't do on the web today. "We are going to remove that block when Firefox 3 ships." Firefox is an open source browser built by a community of developers around the world - about 2,000 contributed code to Firefox 2 and tens of thousands of people test nightly versions of Firefox. "People are doing these things now in spite of the technology. We want technology on the web to catch up with people's creativity. "What we're just seeing today people are building on browser technology of four years ago." Mozilla is also experimenting with using structured data on the web so that applications can use data intelligently. Knowing the difference between a phone number or an address, for example, makes that information more valuable and flexible. "With a little bit of structured data we can add things automatically from web pages to calendars, or you can click to dial with Voip, or export an address to contacts. "We only need minor tweaks to web pages to get that to work." More long term, Mozilla is working on making the web a much more three-dimensional world. "For Firefox 4, we're working on a lot of innovations to advance the state of graphics and text rendering on the web," Brendan Eich, chief technical officer of the Mozilla Foundation, told the BBC's Digital Planet recently. Users can expect Firefox to improve its display with developments in "smooth text and magazine-style layout". Adobe and Microsoft are currently developing 3D rendering engines for webpages and desktop applications but Mr Eich stressed that these technologies should be developed as open source software. "It should be done in an open standard way that all browsers can implement. You shouldn't have to get a proprietary run-time to take advantage of these features." 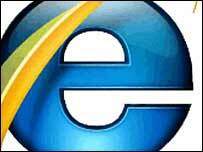 Mr Schroepfer said that the work to create and develop an open source browser solution continued. "The game isn't over, the war isn't won. "A lot of things we believe in around security and privacy we don't see implemented in other browsers." With 500,000 copies of Firefox downloaded each day, it would seem a lot of people agree with him.